Have you had an automobile accident recently and are in need of prompt and professional auto body repairs? 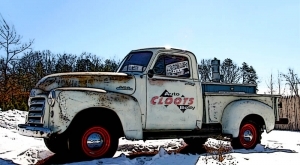 Cloot’s Auto Body specializes in all aspects of collision repair services, as well as vehicle restorations. From small dents and scratches to major collision repairs, you can rest easy knowing we will restore your vehicle back to pre-accident condition. We have been serving customers in the Western Mass area for over 24 years, and look forward to doing business with you. We are dedicated to providing you with “Hassle-Free” claims service, and guaranteed satisfaction. We are the best Auto Body service for our client’s from Westfield, Southwick, Southampton, West Springfield and Agawam, Massachusetts. There’s a reason our Auto Body Shop stays busy – stop by and see for yourself. You can contact online, or in person at our Westfield location.